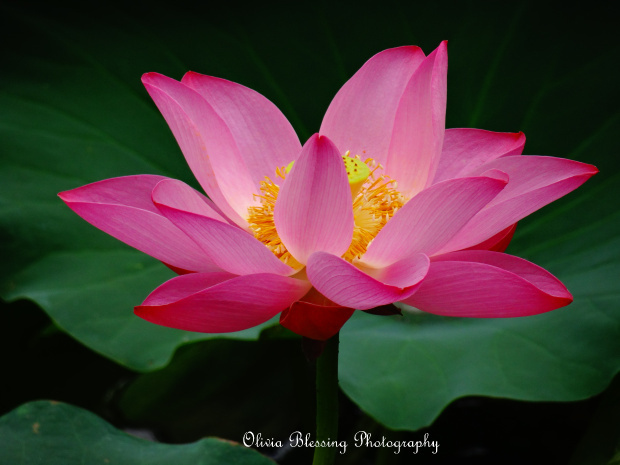 #Lotus Blossoming in the #Fall. According to legend, Buddha once told a story: Like the #waterlily, there are three kinds of people in the world. The first are those who long to bloom but become swallowed in the filthy circumstances that surround them. They never rise above the mud. The second are those who struggle for a time – reaching for the Sun that is just beyond their fingertips. But eventually they surrender to their own weaknesses. They rise above the mud but never above the water. The last are the blooming lilies. Those are the ones that rose above the world’s destructive influences and battled their own hearts and minds until finally they grew. Out of the mud, above the water. They bloom, revealing to all the glorious potential that always resided inside. We are all a blooming lily – I hope that you have risen to show your flowering heart to the world! Yummy 😍👍🍴 spicy stir-fried pork! 😃Did you know 4 is an unlucky number in many Asian countries – especially those with #linguistic influence from #China. This is because 4 has a similar pronunciation as the word ‘death’. You can see this #hotel in South Korea skipped putting in a 4th floor! 😅.